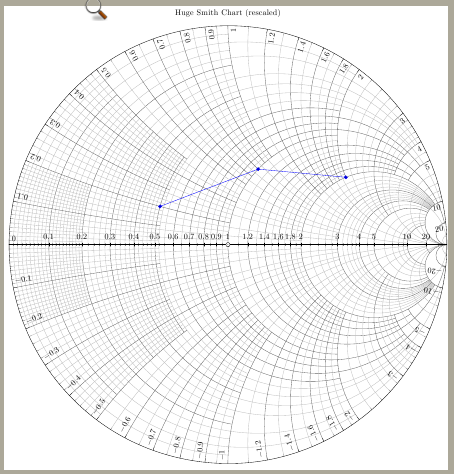 I'm working on a Smith Chart using TikZ. Currently I'm writing it with everything scaled to a unit circle (centered on 0,0 with a radius of 1) without units. Then scaling so it's a reasonably sized figure. 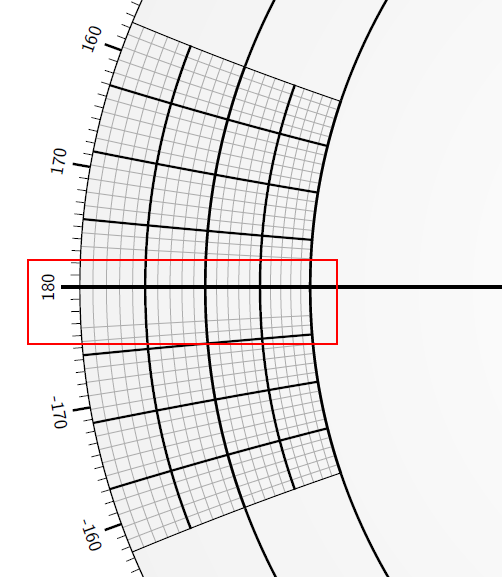 The problem I'm running into is that when drawing some of the minor grid lines for certain sections, particularly when you're close to the x-axis the radius of the circles i'm drawing becomes much larger than is possible in TikZ. What I'm thinking, is instead of drawing individual circles it would be much easier to draw a polar grid to avoid drawing circles with extremely large radii. However, I haven't been able to find any information about how to do that. 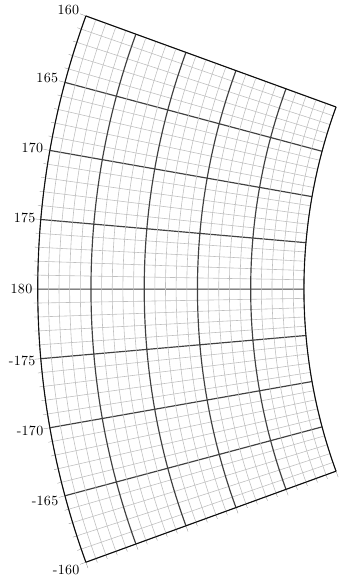 Is there a package or work-around for drawing polar grids?